LONDON (Zimbabwe Investor) – Since the famous whitewash ODI victory over England back in 1997 and the subsequent rebellion following the “black armband” protest by then captain Andy Flower and fast bowler Henry Olonga, Zimbabwe’s cricketing fortunes have taken a nose dive culminating in the withdrawal as a Test playing nation. Since the return to Test Cricket, Zimbabwe has found itself reduced to battling at the basement of rankings with minnows Bangladesh. A far cry from the days when chicken farmer Eddo Brandes was sending England’s Michael Atherton, Nasser Hussein, Alec Stewart and Graham Thorpe scurrying for cover at the crease. While Zimbabwe languishes at the bottom of the pile on the pitch, the southern African nation can be proud of its achievements in the cricketing pavilions around the world. The country has supplied arguably the world’s most successful cricket coaches of the past 15 years in former captains Andy Flower and Duncan Fletcher. When Duncan Fletcher took over the reigns as England’s coach in 1999, he turned around the squad from a struggling outfit to winning series over West Indies, Pakistan, Sri Lanka and South Africa in the following 4 years. In 2004 he led his charges to 8 consecutive test wins, an English record, which included a 3-0 win over New Zealand and a 4-0 win over West Indies. He followed this up in 2005 with England’s first Ashes victory over long-time rivals Australia in 18 years. In 2011 he went on to be appointed India’s coach on a 2-year contract. In between his England stint and his appointment as India’s coach, Fletcher took a role as South African coaching consultant. 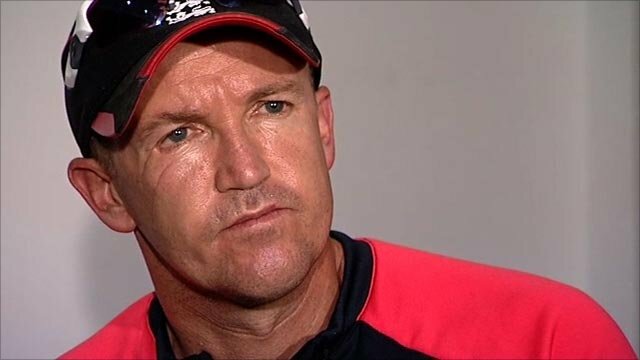 After Fletcher left as head coach of England in 2007, another Zimbabwean, left-hand batsmen and former Zimbabwe captain Andy Flower was appointed as assistant coach to Peter Moores. In 2009, Flower was asked to be interim head coach on England’s Caribbean tour following Peter Moores’ departure. On return, he was appointed full-time team director which he followed up by leading England to another Ashes victory over Australia. A year later he led England in winning the 2010 ICC Twenty20 tournament before going away to beat Australia in the Ashes series in their backyard by three tests to one. Andy Flower’s latest achievement as England coach was to retain the Ashes at home with an emphatic win against Australia. The Australians, since losing dismally to Flower’s boys, have turned to another Zimbabwean-born cricketer and former England batsmen, Graeme Hick as their high performance coach. The achievement of Zimbabwe and its contribution to the international game is often overlooked but with Fletcher, Flower and Hick coaching India, England and Australia respectively, it means three of the top four test cricket playing nations are coached by Zimbabweans. Andy Waller, having taken the reigns as coach of Zimbabwe, makes it 40 per cent of all Test Cricket countries being led by a Zimbabwean or Zimbabwean-born coach.